What are the Different Exercises for Swimming Strength Training? 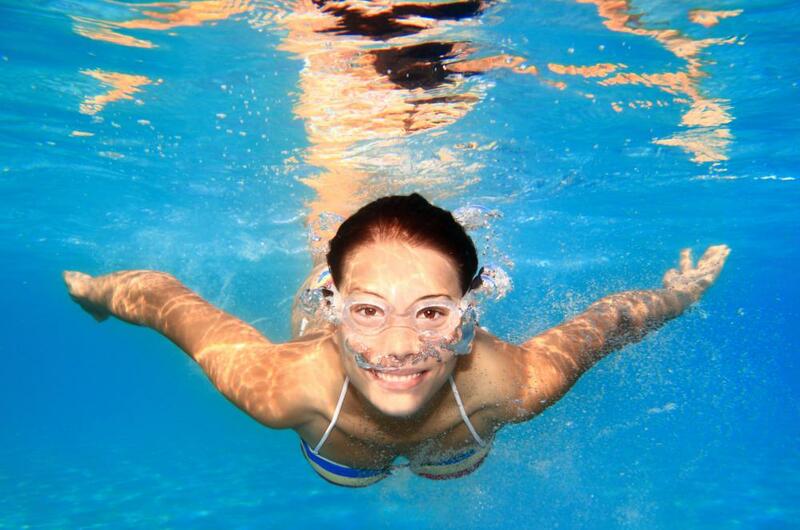 Swimming provides both aerobic and strength training. Swimming is a full-body sport that requires strength training and aerobic training. A core workout is a key component of all swimming strength training, as well as lower body workouts and upper body weight lifting routines. Cross training is also helpful in building cardiovascular endurance and performance, and plyometric exercises are useful for developing explosive power. Effective swimming strength training will employ the use of exercises that mimic motions performed in the pool, so cable exercise machines will be an integral part of swimming strength training. As with any other strength training programs, adequate rest is necessary to prevent injury, as is a thorough stretching routine. Every workout should begin and end with stretches that target the legs, back, arms, and neck. Such stretching allows the muscles to prepare for the strain of swimming strength training, and it elongates the muscles, making them more flexible and powerful. Once stretching has been completed at the start of the workout, the swimmer should plan for a split workout. This type of workout allows the swimmer to target one set of muscles on the first day of exercise, then another set of muscles on the second day of exercise. The third day of exercise may target a third set of muscles, or it may repeat the day one exercises. Day three may also be used as a rest day. Such a swimming strength training routine allows for muscle recovery between days of exercise, and it also allows the workout to continue on subsequent days. On day one, for example, the swimmer might work the arms and shoulders. Day two might focus on the quadriceps, calves, and hips. Day three might be a core workout or a rest day. Whichever one is not done on day three can be done on day four. Then the entire process is repeated. One day should be dedicated to a cardio workout, and if a pool is not available, the treadmill will work as a substitute. A lower impact choice is the exercise bike, which provides a cardiovascular workout without being overly strenuous on the joints of the legs. All swimming strength training routines should be combined with a good diet. Athletes generally burn more calories than the average person, so a diet rich in carbohydrates and protein may be necessary. Fat intake should be limited, as fat takes much longer to digest and subsequently turn into fuel for the body. Protein can be gained from lean meats such as chicken or fish; red meat and other fatty meats should be avoided or at least limited. What are the Best Tips for Triathlon Swim Training? What are the Best Tips for Swimming Conditioning? What is a Pool Cove? How do I Choose the Best Strength Training System? How Do I Build Strength and Stamina?